Welcome to our Bear Creek Realty, Dillard, Georgia website! We are located in beautiful Rabun County, Georgia. Whether you are a first time buyer or an experienced investor, you will find useful information for making an informed real estate decision in today's market. At Bear Creek Realty, we believe in "Making Clients for Life"! Every Real Estate Company and every Agent is different. Please be sure to click on the tab "About" and read all about what we can do for you! Also, please click on the tab "Testimonials" and view what other satisfied clients had to say about us. We belong to the Georgia Association of REALTORS and the National Association of REALTORS. We have the education, ethics and experience to help you. This site explores homes & real estate for sale in the Rabun County, Georgia area - Dillard, Clayton, Tiger, Mountain City, Rabun Gap, Lakemont, Lake Burton, Seed Lake, Lake Rabun, Wiley, and Tallulah Falls, as well as popular North Carolina areas such as Franklin NC, Otto NC, Scaly NC and Highlands NC. Our site offers direct access to the latest properties for sale in the area. Featuring extensive community information, consumer links, school information, answers to commonly asked real estate questions, and more, you'll find everything about real estate within one easy source. The "Featured Listings" section will give you information about all of Bear Creek Realty's terrific listings - lots, land, and homes. Or you can click on a category in "Featured Searches" and this will let you search the Rabun County Georgia Multiple Listing Service for all available listings in this area. Please remember to call (or email) an agent with Bear Creek Realty. We can help you with anyone's listings. We are happy to provide Buyer Representation. 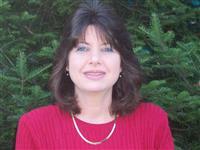 Welcome to Pam Hyer’s premier real estate website! We are glad you are here. We take pride in providing you the best possible service, as well as the latest cutting edge tools, to make all your real estate transactions as smooth as possible. You won't find another site with more comprehensive, local real estate information.